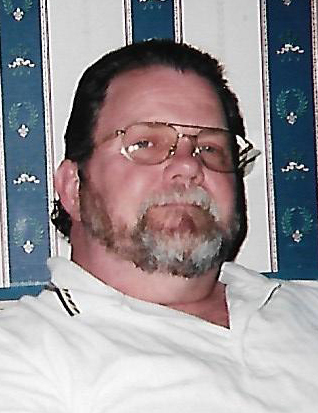 Clyde David Capps, 67, of Mount Vernon, Illinois passed away at 5:31 P.M. February 7, 2019 at SSM Health Good Samaritan Hospital in Mount Vernon, Illinois. He was born May 30, 1951 in Mount Vernon to the late Norman Levi and Wilma Fay (Jones) Capps. He married Donna Ziarnek on May 24, 1975 and she survives in Mount Vernon. In addition to his wife, Dave is survived by his son, Michael Capps and wife, Sonya, of Fenton, Missouri; sister, Kathy Hefner of Opdyke, Illinois; brother, Jeff Capps and wife, Patti, of Wadesville, Indiana; and several nieces and nephews. In addition to his parents, Dave was preceded in death by his grandparents. Dave worked at Continental Tire for 34 years and was a member of Saint Mary Immaculate Conception Catholic Church in Mount Vernon. He loved to laugh and talk with friends and family. He was a loving husband and father and will be dearly missed. A visitation will be held from 5:00 to 8:00 P.M. Monday, February 11, 2019 at Hughey Funeral Home in Mount Vernon, Illinois. A Rosary will be held at 7:30 P.M. the evening of the visitation. A Funeral Mass will take place at 10:00 A.M. Tuesday, February 12, 2019 at Saint Mary Immaculate Conception Catholic Church in Mount Vernon with Father Clyde Grogan officiating. Memorials, in Dave’s loving memory may be made to the Donor's Choice.